Homa Sarshar is a published author, award-winning journalist, writer, and media personality. She is the author of four books and the editor of eleven other volumes, including five volumes of the Iranian Women's Studies Foundation Journal and four volumes of The History of Contemporary Iranian Jews. Her latest book Sha’ban Jafari was the number one best seller Persian book in Iran and abroad in the year 2003. From 1964 to 1978, she worked as a correspondent, reporter, and columnist for Zan-e Ruz weekly magazine and Kayhan daily newspaper in Iran. During this period, she also worked as a television producer, director, and talk-show host for National Iranian Radio & Television. In 1978, Sarshar moved to Los Angeles where she resumed her career as a freelance journalist, radio and television producer, and on-air host. No stranger to the plight of many Iranian Americans, Sarshar knew first-hand the challenges of arriving as a new émigré to the United States. In 1981 she became the founding editor of Shofar monthly magazine, published by the newly formed Iranian American Jewish Federation to bring the Iranian Jewish community together. In 1982 as the co-producer, writer, and talk-show host of Omid Radio she co-founded a daily AM radio broadcast for the Los Angeles based Iranian immigrant community. The show played a pivotal role in informing and educating the new community about life in the US. An established women’s rights activist, in 1989 Sarshar joined the board of Iranian Women Studies Foundation, a nonprofit organization based in Boston, MA. Along with co-convening the foundation’s annual conference series, she also edited five volumes of IWSF’s journal during her five-year term on the board. In 1992, she published her two-volume memoire Dar koocheh paskoocheh ha-ye ghorbat (In the back alleys of exile), which provides a candid view into the experience of a first generation immigrant to the US. The title was the first publication of a Jewish Iranian memoir, one of the first Persian memoirs after the revolution published outside Iran, as well as one of the very few examples of memoir-writing by an Iranian woman at the time of its publication. Since 1993 Sarshar has been a trusted advisor by the Human Rights Watch to recommend recipients for the prestigious Hellman/Hammett Grants and many of her nominees have received the above grant. In 1995, Homa Sarshar founded the Center for Iranian Jewish Oral History (CIJOH) in Los Angeles, a nonprofit organization that gathered over 1,600 historically significant photographs and documents, and recorded over 120 oral interviews with elders and leaders of the community. During its ten years of activity under Sarshar directorship, the center organized five international conferences, published five volumes of collected academic articles, and produced eight documentaries on Jewish-Iranian history and various leaders and cultural figures of the Jewish Iranian community in the 20th century. In 2006, Tel Aviv University, UCLA, and the Library of Congress each received one complete copy CIJOH’s archive of documents, transcribed oral interviews, and original documentaries to be used by researchers all over the world. In 2005 philanthropist and arts advocate Homa Sarshar founded the Center for Iranian Creative Arts (CICA)—a Los Angeles based nonprofit organization, and the first of its kind. The mission of this organization is to promote, preserve, and proliferate Iranian art, culture, and tradition in the United States through the publication of books and the production of audio visual materials, and the organization of events contributing to the advancement and promotion of humanities and creative arts. CICA is also providing social and financial support to all Iranian American artists in need to ensure that these unique talents are served in the best way possible and their lives are improved. Homa Sarshar’s involvement with the arts has been a life-long passion. In addition to the above projects, over the past 35 years she has hosted and or sponsored many theatre performances and art exhibitions for Iranian-born artists as well as numerous lectures and book signings for some of Iran’s most influential literary figures, among them: Academy Award nominee Shohreh Aghdashloo (actress); Jalali Sousan Abadi (master miniaturist); Nader Naderpour (poet); Mahshid Amirshahi (novelist); Shahrnush Parsipour (novelist); Monirou Ravanipour (novelist); Simin Behbahani (poet); Shahrokh Moshkinghalam (dancer / choreographer); Hadi Khorsandi (satirist); and Fereydoon Moshiri (poet). She has also been a member of the Middle Eastern Art Council for the Los Angeles County Museum of Art (LACMA) for different terms over the past 30 years. In this position, she has recently secured two important gifts for the museum’s permanent collection, which are to be displayed in an exhibition in March 2013 organized to coincide with Nowruz, the Iranian New Year. Throughout her 45-year career with Iranian and Iranian-American print, radio, and television, Sarshar has done more than 1500 interviews and has produced and anchored as many radio and television programs. She has also written, directed, and produced a collection of twenty video documentaries on exiled Iranian writers, poets, and artists, some of which have been acquired by the Library of Congress for the library’s permanent audiovisual archive. 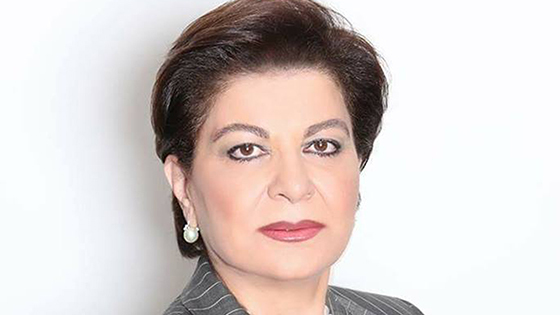 Homa Sarshar has received numerous awards for her work, including the Medal for Special Achievement in Women's Rights, given by The Iranian Women's Organization of Tehran, Iran; Journalism Award: Distinguished Iranian Women by the Encyclopaedia Iranica; and Commendation for Community Affairs Services by the County of Los Angeles. Homa Sarshar was born in Shiraz on 1946, and raised in Tehran. She earned a BA in French literature from Tehran University; a MA in journalism from the Annenberg School of Communications, USC; and a Ph.D. (HC) in Journalism from College of Letters and Science at the American World University – LA, CA. She is currently of resident of Los Angeles.